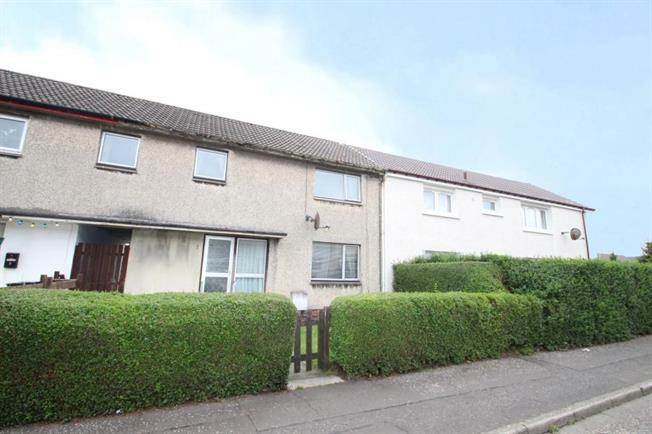 3 Bedroom Terraced House For Sale in Irvine for Offers Over £62,000. Spacious well presented mid terrace villa located within popular address. The property offers ideal family accommodation extending to a welcoming reception hallway, good size loung/dining room, modern fitted kitchen, 3 bedrooms and bathroom. Further benefits from gas central heating, double glazing and garden grounds to front and rear. Ideal location for excellent local amenities and transport links with a good choice of local schooling. Early viewing advised. EER Band D.